A reformation is defined as “the action or process of reforming an institution or practice.” In 1856 and 1857, under the direction of Brigham Young, then President and Prophet of The Church of Jesus Christ of Latter-day Saints (inadvertently referred to as the “Mormon” Church by the media and others), a period of renewed emphasis on spirituality within the Church took place. The period became known as the Mormon Reformation. With the overarching objective of inspiring Latter-day Saints throughout the Utah Territory and surrounding Mormon communities to turn from their sins and re-focus on spiritual matters, in early September 1856, President Young sent his counselor, Jedediah Morgan Grant (known for his fiery speeches during the Reformation of 1856, earning the nickname, "Brigham's Sledgehammer"), and other church leaders to preach to the Saints north of Salt Lake City, Utah, in hopes of rekindling their faith and testimonies. During the time of the Reformation, public discussions were replete with the most predominant doctrines of The Church of Jesus Christ. As a result, almost all "active" or involved LDS Church members were re-baptized as a symbol of their renewed commitment. By the early 1850s, communities within the Mormon settlement were beginning to prosper; however, a portion of those who lived within the communities were not living their lives in harmony with the standards and teachings of The Church of Jesus Christ. 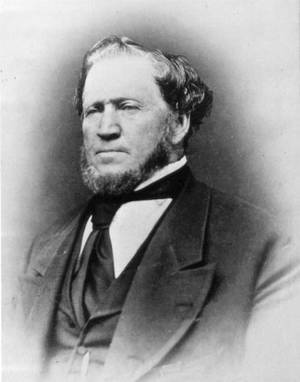 Under the direction of President Brigham Young, the reformation moved forward to settlements and missions throughout the world. Although procedures differed for areas outside of Utah, all Saints were exhorted to be re-baptized which exemplified forgiveness of sin, and a recommitment to being obedient to commandments. Those who otherwise refused to be re-baptized faced the possibility of losing their membership in the Church. Such was the case in Britain where strong adherence to the principles of the Reformation resulted in a significant number of less-committed members being removed from Church rolls. This page was last edited on 27 August 2013, at 13:29.